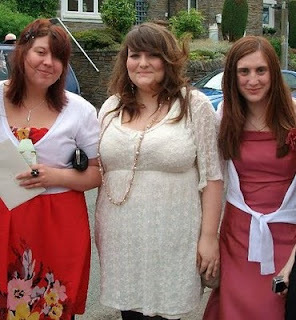 I had a lovely day yesterday at the wedding of my two amazing school friends Becky and Gavin. The sun was shining, Becky looked beautiful and I'm pretty sure we all did the Hokey Cokey after a bit too much wine. I got my dress from asos curve, my accessories from Dorothy Perkins sale and the shoes and bag from Primark.